Sunday marked the 40th anniversary of the game John Cappelletti called the most satisfying of his career. It might well have been his best. On Nov. 10, 1973, Cappelletti ’74 carried the ball 41 times for 220 yards to lift the Nittany Lions to a 35-29 victory over NC State. 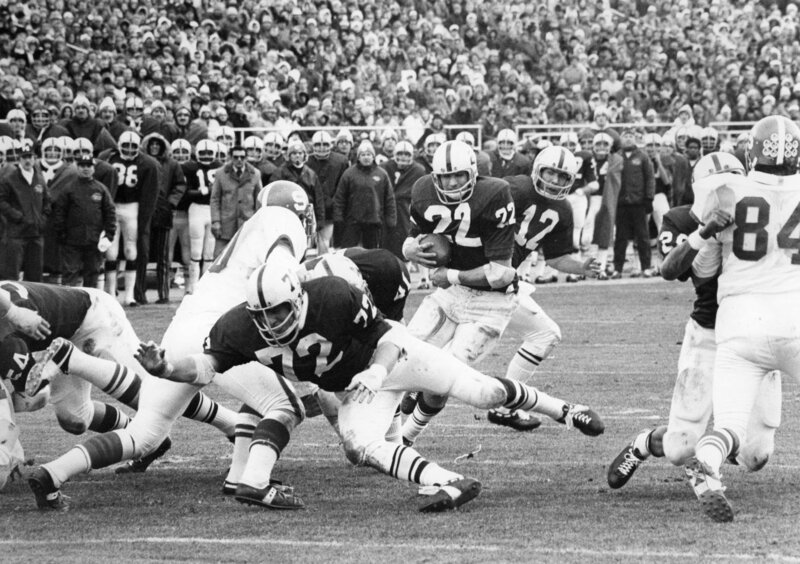 It was the most productive day of his record-breaking campaign, and it was well-timed, coming in the closest game of Penn State’s unbeaten ’73 season. A little more than a month later, Cappy would lift the Heisman Trophy. This entry was posted in A Moment in Time and tagged 1973, Heisman Trophy, John Cappelletti. Bookmark the permalink.